A trolley takes visitors along Main Street from Euphoria’s festival grounds on South Main to the Hyatt and shops on North Main Street. Imagine going to a town for its great food and music fests and the town isn’t Chicago. Greenville, S.C, a middling-sized town in the foothills of the Blue Ridge Mountains, caters to foodies with 80 downtown restaurants and pubs and to music lovers with the free downtown blues, rock and cover bands every Thursday from mid-March through August and every Friday from mid-March through September. However, try to schedule a stop in Greenville during Euphoria, the town’s annual food and sound festival when guest chefs, wine and beer experts and music headliners team-up for an extraordinary weekend. The festival was founded in 2006 by singer/songwriter Edwin McCain and restaurateur Carl Sobocinski as a food, wine and music destination event. 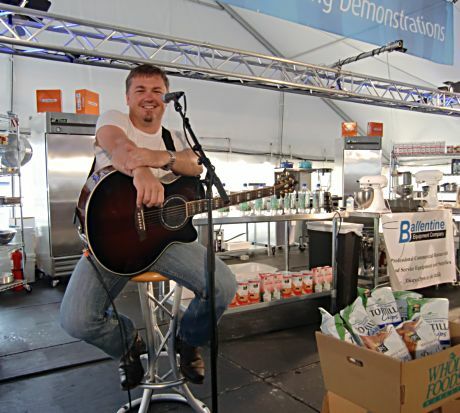 Platinum recording artist Edwin McCain who played in concert during Euphoria in 2011 also played in a food demonstration tent while a chef readied her ingredients. For Euphoria 2012, held Sept. 20-23, McCain, a platinum-recording artist, will be joined by Sound Project founder trumpeter/composer Mark Rapp who was with Roy Hargrove and Dave Brubeck on Disney’s 2011 release of “Everybody Wants to be a Cat” and band-leader/recording artist Shawn Mullins. Featured headliners also include straight-ahead jazz musician Wycliffe Gordon, saxophonist Walter Blanding and songwriter/guitarist Derek Lee Bronston. As for sating those food and drink cravings, Euphoria pairs wines and beers with music, chef lectures, samplings and dinners. Events do sell out so best plan is to purchase event tickets ahead of time online. 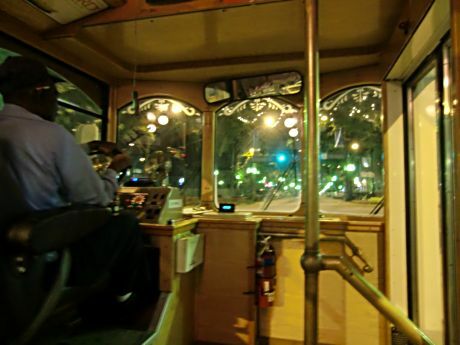 For folks who don’t want to walk off all the sampling and sipping, a trolley takes visitors from the Euphoria area on South Main over to the shops and Hyatt on North Main Street. 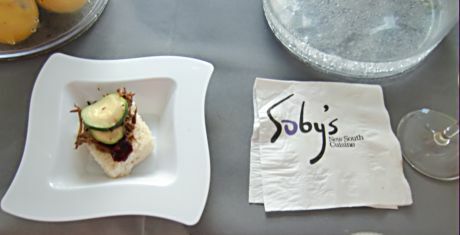 Taste treats from Soby’s, a restaurant in Euphoria co-founder Carl Sobocinski’s Table 301 group, were among popular samplings in in the 2011 festival. If the fourth weekend of September simply isn’t doable, the town’s location, south of Ashville and Hendersonville, N.C. in the northwest corner of South Carolina, makes Greenville a good summer or fall vacation destination. Stay at the Hyatt Regency at the north end of Main Street to have a front row seat for Thursday and Friday music fests just outside the door on the Hyatt Plaza and just a short walk to galleries, boutiques. Or stay at the Westin Poinsett south on Main Street to be close to museums, Falls Park on the Reedy River and the Peace Center for the Performing Arts. To find other good downtown choices visit accommodations. To stay out of town with Blue Ridge views in what is known as “upcountry” check out The Red Horse Inn, an award winning AAA four diamond bed and breakfast. 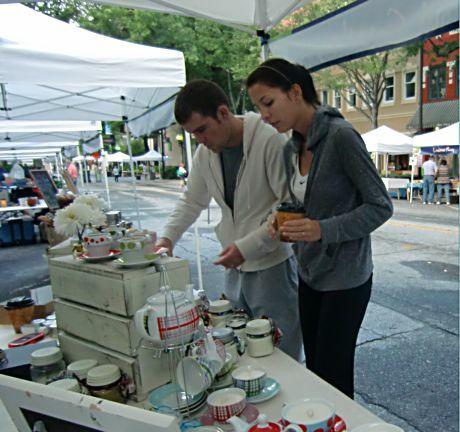 Early browsers beat the crowd at Greenville’s Saturday morning Farmers Market. While in town, visit the Greenville County Museum of Art to see its Andrew Wyeth collection, considered the largest holding of the artist’s work in the world. Walk Main Street for its sculptures. You might miss some if you don’t look up or down because tiny mice sculptures have invaded the walks. 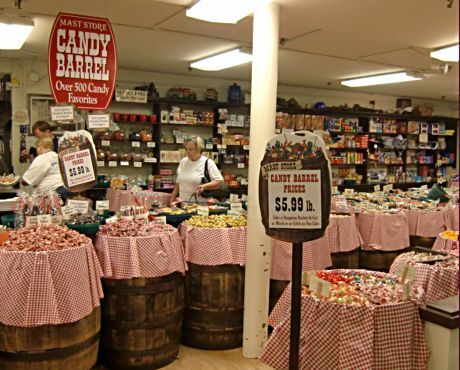 Be sure to visit historic Mast General Store for just about anything from clothes to candy. But also browse the goodies in the Saturday Farmers Market. Then, check if the Greenville Drive, a minor league baseball team is playing in town. Its Fluor Fieldin Greenville’s West End on South Main Street, is a miniature Fenway Park. Visit Mast General Store for a blast from the past. Greenville, S.C. is a destination on its own and also worth a visit if staying north in the Blue Ridge Mountains or its foothills. It is a non-stop flight from some major airports and is on Interstate 85.